Good morning! This is Pamela taking over Mama Elephant’s blog for today with a card featuring Little Emotions and this is definitely one of my favourite stamp set for the March release! 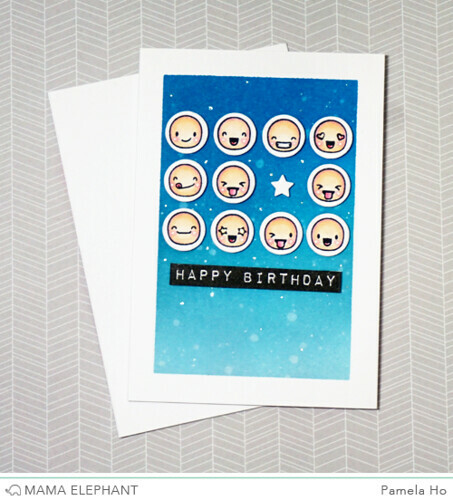 It's so hard to decide which one to use so I had to use all the happy ones for my card today! 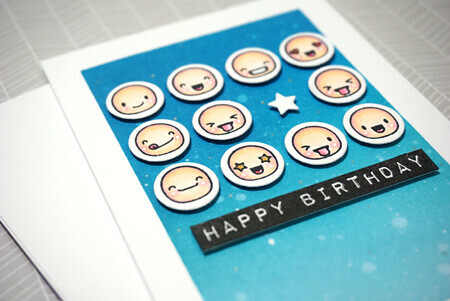 I started off by stamping all of the happy faces onto little circle die cuts. 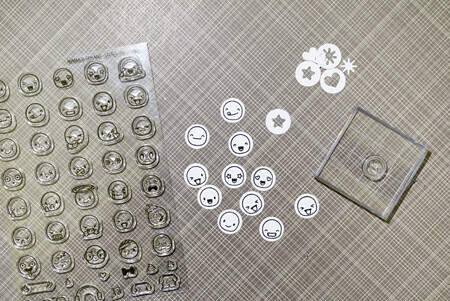 Using Rounds and Rounds dies to cut out a few shapes. I coloured the little emotions in skin tones and since the background of the circle was left white, I knew I needed a bright background to make them *pop*. I blended a few blues together and flicked water and white paint onto the card base. I adhered all the little emoticons onto the card base with foam tape. I took the little star from Rounds and Rounds and adhered that in one of the empty space. Finished off with a sentiment from Labeled Messages. And here you go! The completed card. A happy birthday from the gang card! 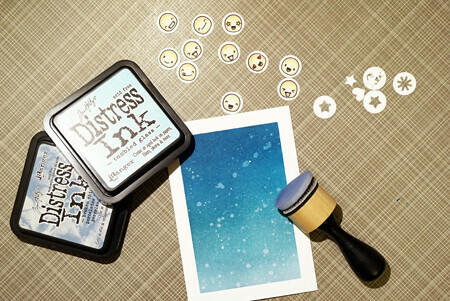 Adorable use of these stamps!